CRP USA will be attending Additive Manufacturing Users Group (AMUG) as speaker. The 31st edition of AMUG will be held from 31st March to 4th April, 2019, at the Hilton Chicago, in Chicago, Illinois. 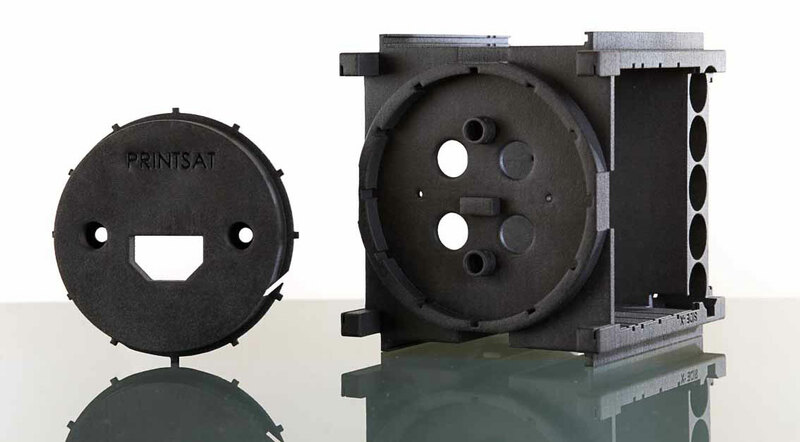 At the 2019 edition Stewart Davis will be presenting the paper: “Construction of CubeSatellite used to dispense TubeSatellites using Additive Manufacturing”. The speech is set for 1st April, 2PM, at the International Ballroom, Hilton Chicago, in the track: “Aerospace/Transportation”. Stewart Davis will explain how the use of Windform composite materials, originally developed for the Motorsports industry by CRP Technology, is now finding many uses in space exploration. Mr. Davis will also demonstrate the effectiveness of additive manufacturing and the use of Windform as a structural material for space applications. Hightlighted at AMUG will be the case study that follows the successful construction and launch of the TuPod. CRP USA works alongside key space industry leaders. Based in Mooresville, North Carolina, CRP USA employs a highly skilled staff that specializes in the manufacturing and creation of end-use parts and prototypes built from Windform high performance composite materials for LS technology.